Take advantage of flying direct to Costa Rica’s beaches and visit one of our dentists in Liberia, a quaint city not far from the country’s spectacular northern coast. Liberia’s international airport provides quick and easy access to some of the most attractive countryside and coastline in the country, with this once-small cowboy town recently emerging as a new international gateway for tourists visiting the area. Most people who arrive in Liberia tend to stay for only a day or two, using it as a springboard to plan their itineraries to the other points of interest around the area. The many beaches on the Pacific Coast are a draw for most, including the town of Tamarindo and the newer resorts along the Papagayo Gulf. Not only will you find white sand and turquoise waters, but an abundance of wildlife for snorkelers and divers, as well as some decent surfing sites. In fact, Santa Rosa National Park has possibly some of the best surf in the world. Other national parks include Rincon de la Vieja, home to an active volcano, bubbling mud pots and natural hot springs. Dental patients will enjoy all that Liberia and the surrounding countryside has to offer, doing as much or as little as the mood takes after dental treatment. Liberia is in the province of Guanacaste in northwest Costa Rica, about half an hour’s drive from the Pacific Coast. Why Visit a Dentist in Liberia? Dental tourists heading to Costa Rica often prefer skipping the hectic pace of the big city. The new international airport has made traveling to this part of the country more convenient for international travelers. North Americans now have the opportunity to settle into a short trip to the beach areas here for a few days, especially now that the additional six-hour drive from San Jose is no longer required. Liberia is a great place for dental treatment. It’s a decent-sized town, so all the amenities you need are on your doorstep. You’ll also find reliable, good-quality dentists in town with expertise across the range of dental specialties. Our listed dentists are well-qualified and have memberships with professional organizations both at home and abroad, for example, the American Dental Association. The other reason to visit a dentist in Liberia is, of course, the cost. Average savings are around 70%:usually enough to pay for your holiday, depending on the nature of your treatment (and whether you have a penchant for staying in five-star resorts). And as to where to find these prices? 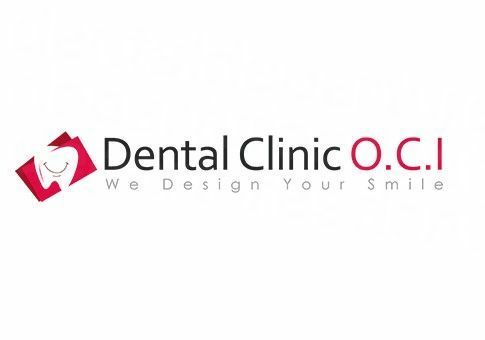 Try checking out Dental Clinic OCI Liberia - you can view the clinic’s list of procedures, prices, photos and other important information on Dental Departures. A full list of our partner clinics in Costa Rica can be found here . From countryside lodges and mountain spa resorts to chain hotels in the center of town, Liberia provides an array of accommodation styles suitable for all budgets and tastes. Costa Rica is a safe country and there are no US travel advisory warnings in place. Do make thorough preparations for any long hikes or jungle treks (as this is where some tourists often find themselves in danger, especially if they are inexperienced or without a guide). Also watch out for strong currents and riptides around certain parts of the coast. There’s no reason why your care shouldn’t be as good as it is at home, so long as you visit a reliable dentist—and that does take some additional research. Although standards are generally good, it always pays to do a little background digging. Dental Departures performs checks on all our verified clinics, using several processes. These include legal and criminal records, dentist qualifications and professional memberships and site visits. Our website presents all this information at no charge,, enabling our patients to judge and make a decision for themselves as to whether a particular dentist or clinic is right for them. Of course, we know there is no substitute for visiting a place yourself, but we try to make it as realistic as we can, providing high-resolution clinic photos, virtual tours and real patient reviews. Our partner dentists in Costa Rica, like most overseas dentists who treat international patients, are keen to provide the best possible quality of service. This extends to their work, customer care and the facilities available, which are generally state-of-the-art. World-renowned branded materials are used (rather than inferior quality products that cost less). You may be wondering why dental care is more affordable in Costa Rica, and the answer is simple: both living and operational costs still remain relatively low in this rapidly developing country and so the savings your dentist in Liberia makes are passed on to you. What Happens If Something Goes Wrong? Are There Any Guarantees? Guarantees are issued as standard by all our dentists, so in the rare event that something does go wrong with your treatment, it will be fixed free-of-charge. However, we would advise you to take out medical complications insurance cover (for a small extra fee) which will pay additional travel and accommodation expenses if you have to travel back to Liberia; these expenses are not covered under our dentist guarantees. Fortunately, problems very seldom arise with any of our patients’ treatment. Choosing a good dentist will always diminish your risk, which is why we take a lot of care in ensuring we have quality-checked ours. Our dentists often speak a variety of languages, as well as English and Spanish, so it won’t be necessary for you to speak Spanish. Elsewhere in Costa Rica, English is spoken widely so getting by should be a breeze. Most of our dentists accept US dollars, and our website lists the other payment methods each clinic accepts. The majority accept at least one other payment method from debit cards, debit cards, bank transfers, personal checks and traveler checks. Please note a small additional processing fee of 3-4% is usually charged on credit cards. It is improbable your dentist in Liberia will be in your insurance company’s preferred network, and so they will not be able to bill your insurance provider directly. If your provider allows for out-of-network care you may well be able to claim your expenses back once you have returned home. If you are unsure you can always check with your insurance company, and be sure to find out what documentation you will need to bring with you to your appointment if they are able to reimburse you. Apart from public holidays our dentists in Liberia are open all year round. The weather is good throughout too, so the best time to go is really up to you. Not everywhere is wheelchair accessible, but you should be able to get about without too many difficulties in Liberia. Many of our dentists do provide wheelchair-friendly facilities and we are always happy to find some way of accommodating you at one of our dentists if you are uncertain as to where to book. Just speak with our Customer Care team, who are always on hand for some friendly advice. Costa Rica is a safe and welcoming country for both regular and dental tourists. However, as with any new place, do be aware of opportunistic thieves and pickpockets who prey on those who let their guard down - particularly in busy areas. Dental patients should also be aware the preferred method of pain relief in Costa Rica is local anesthetic, rather than sedation dentistry. This service is offered by most of our dentists, but it is an additional service requiring an anesthesiologist. If you do need sedation dentistry it needs to be booked in advance for an additional $400 (approximately). What Else is There in Liberia? Staying in Liberia puts you only around an hour away from adventure destinations , rivers, waterfalls, mountains, volcanoes, beaches, the ocean and national parks. With all these wonders nearby, it might be easy to forget that the town itself is worth spending at least a few days exploring, especially if you want to take things easy between dental appointments. You will discover plenty of hotels in and near town (most with pools so you can cool off), rows of enticing restaurants with different cuisines and a handful of bars that come alive at night with music, dancing or just good conversation. A lesser-known gem in town is the Hidden Art Gallery which features established and emerging artists and has more than 15 rooms full of sculptures, paintings and other interesting items. It also has some lovely gardens in which to sit and relax. Every Saturday you can visit the market from 10am to 2pm, to purchase handcrafted jewelry, natural beauty products, organic produce, and lots of yummy local food. More exciting times to be in Liberia are during the fiestas. One takes place at the end of February to celebrate Guanacaste traditions and folklore with concerts, music and rides. The other is held towards the end of July to celebrate the Annexation of Guanacaste – the day that Guanacaste province chose to be part of Costa Rica rather than Nicaragua in 1824; expect music, parades, bullfighting–and plenty of drinking! Daniel Oduber Quiros International Airport (LIR) is Liberia’s airport and just a short drive from the city center. How Do I Book an Appointment in Liberia, Costa Rica? We’re available 24/7 - so you can speak to us about booking an appointment with one of our dentists morning noon or night! Call our toll-free number or book online. You can also use our online chat or send us an email for more information about our quality-checked dentists in Liberia. Things to Do In and Near Liberia, Costa Rica. Bookmundi. 27 May 2018. Garrison, Judy. Dental Care in Costa Rica: My Story. 31 October 2018. 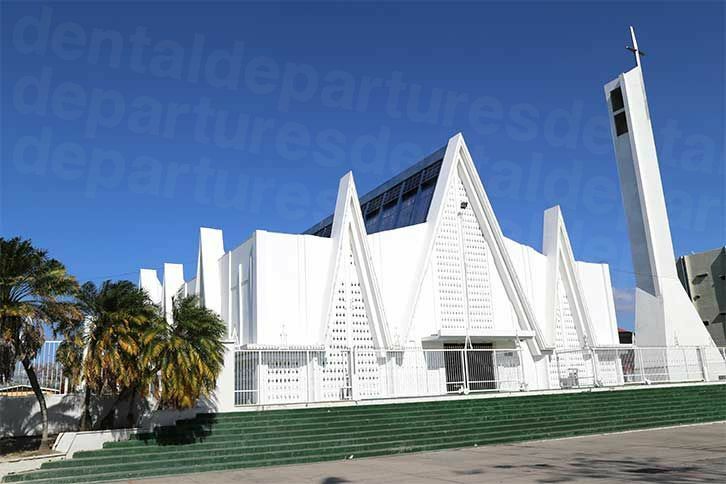 Liberia International Airport, Guanacaste. Go Visit Costa Rica. Website accessed: 7 March 2019. Costa Rica Overview - World Bank. Website accessed: 7 March 2019. Do people speak English in Costa Rica? MiCasa Tika. 3 October 2017. Dental Insurance: What’s Covered, What’s Not. WebMD. Website accessed: 7 March 2019. Liberia drinking and nightlife. Lonely Planet. Website accessed: 7 March 2019.